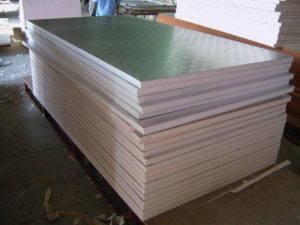 The latest research shows that the future demand for aluminum sheets will grow at an unprecedented rate. 2014 and 2015 are considered a turning point in the automotive industry from traditional steel to aluminum and other lightweight materials, including the use of aluminum instead of advanced high strength steel (AHSS). In general, the use of aluminum and other lightweight materials will become a significant feature of heavy vehicles, such as pickups, SUV, etc. The AHSS is likely to continue to be used in portable vehicles, which can reduce the body weight of about 100 kg. The use of aluminum sheet in the process of raw materials processing and production of the environment, but in the use of products will reduce environmental impact. The key point is that the environmental impact of the entire life cycle of the use of aluminum will be reduced. Therefore, the aluminum industry in the automotive industry to replace the trend of steel will continue to develop. Between the years of 2012 and 2015, North American light vehicle aluminum consumption increased by 28% (car production growth and the growth of aluminum content). It is expected that by 2025, 75% of the body parts of the pickup train will be made of aluminum, large cars of 24%, SUV of 22%, other small vehicles of 18%. North America and Europe will have the highest levels of aluminum, and Asia (especially China) is still the biggest market for lightweight vehicles.